Soil management is another important aspect of mature tree care. Urban landscape trees often exist in soils that lack the nutrients, pH (acidity or alkalinity), drainage, or pore space (air and water space) needed for growth and development. 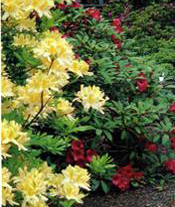 Proper fertilization based on plant needs can correct many deficiencies that limit growth. Sometimes soil nutrients may be sufficient, but soil pH levels may prevent plant uptake. In this case, soil amendments, such as sulfur, lime, and even some mulches, can alter soil chemistry and help alleviate plant stress. Drainage systems or grading can help correct saturated soil conditions, although trenching or earthmoving activities within the tree’s root zone may cause more harm than good. Compacted soils can be tilled mechanically or with compressed air to increase porosity and encourage root growth. Care must be taken when loosening soil under the drip zone to avoid root damage. When dealing with a mature tree that provides considerable benefit and value to your landscape, it is worth the time and investment to have the soil tested for nutrient content and texture. A Wood Acres arborist can arrange to have your soil tested at a soil testing laboratory and recommend treatments based on the results.